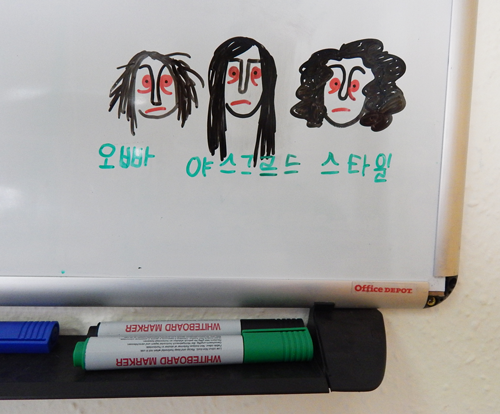 As you might notice today's drawing is made by a different technique: whiteboard marker. Yesterday was Wednesday, A. K. A. the longest day of the week at Jászkürt Újság, and we had some fun while we were waiting for the printer's approval at 8 p. m. If you like it, maybe I will make it a regular thing. I hope I spelled ‘Jászkürt’ right in hangeul. Ps. Yes, Márta has a new haircut.